Baking and selling BANANA BREAD was never on my to-do list. A starving broadcaster, I began baking as a practical way to gift my friends. Feedback for my banana bread, in particular, made me wonder if I was perhaps on to something special. Fueled by a growing and positive response, I made sure always to have a loaf in my purse! My humble homemade gift began taking on a life of its own. And thanks to social media, the good word spread. 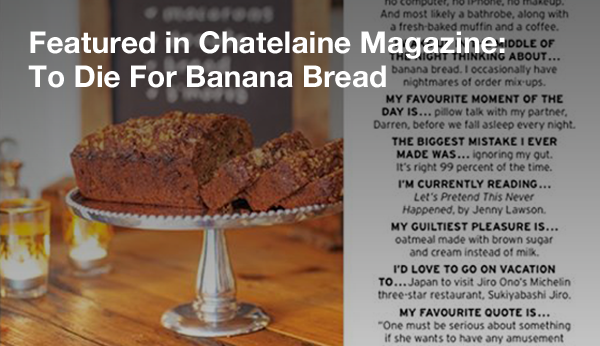 Banana bread 2.0, the new and improved version of that 70s staple, was finding its audience. I couldn’t have predicted what happened next: a personal order from a TV Bachelorette…a rave review from a Michelin Star chef…a signing session with our own Vancouver Canucks…a phone call from Dragon’s Den…television and radio interviews…and even more importantly, a growing appreciation from my own community. 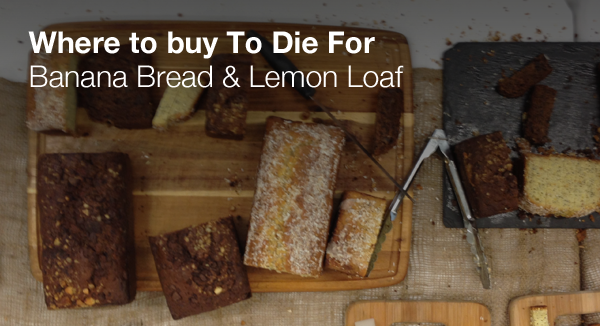 The logical next step was to turn my hobby into a business: “To Die For Fine Foods” was born. 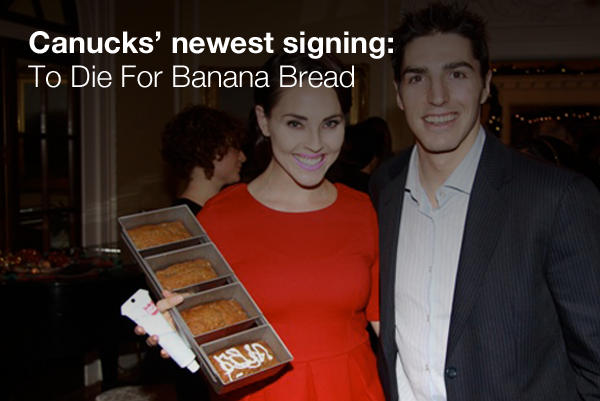 And good news…we’re launching a new banana bread, made without animal products, any day. Here’s where to find our baking in and around Vancouver. Any questions? Would you like to order from us? Please email orders@itstodiefor dot ca. We’ll get back to you asap!